The title is actually a misnomer. It should be “The Future Trees Planted So Far” because what we are planting are not yet trees. A tree has a trunk taller than 2 meters and would need to be balled out. What we are planting are saplings and seedlings. A sapling is 1 – 2 meters high and a seedling is below 1 meter. But since I can’t think of a better term (sapling planting? future tree planting? ), then for the most part I will stick with convention and call our activity “tree planting”. We started planting in November 2012. So far we have planted 34 saplings. Ok, I couldn’t bring myself to call them trees right after saying that they really are saplings. I had hoped to plant more, but the preparation of the planting holes was slow going. The rest of the saplings that we already bought are on hold for now since the workers are now clearing weeds from the paddock area. It is also late in the season for tree planting. 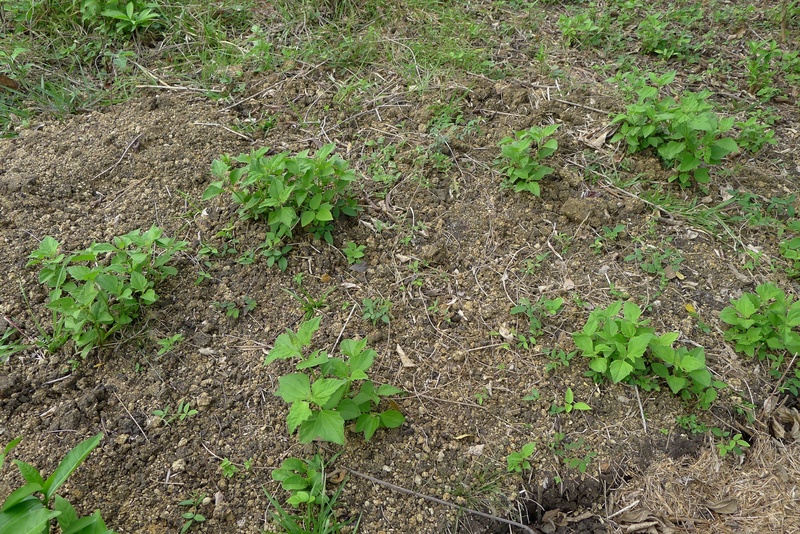 It is better to do the bulk of the planting after summer has passed and the rainy season has started. This will be sometime in June. In the meantime I am enjoying the view at the nicely cleared planting area. 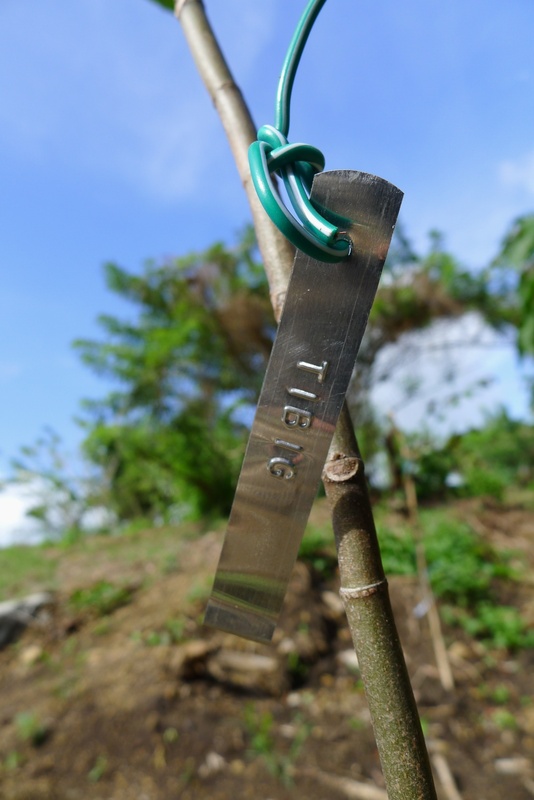 I attached tree tags on the newly planted saplings. I will write another post later about my tree tags! I am really happy with how the they came out. 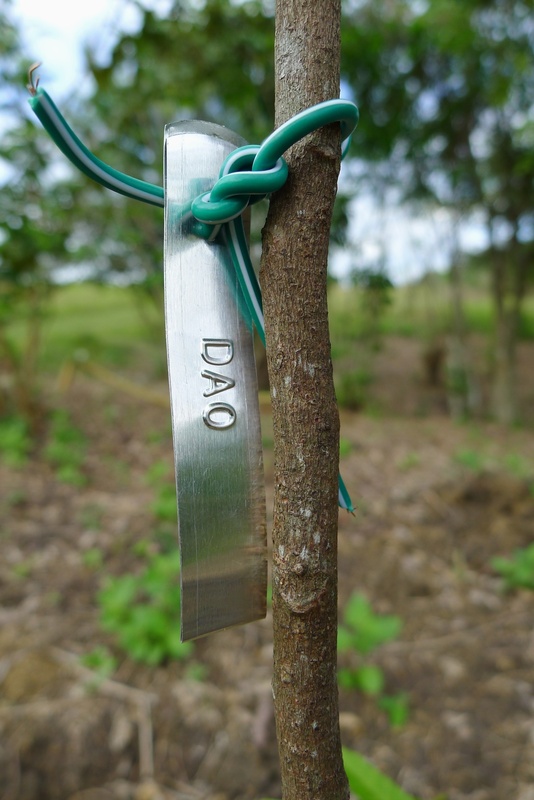 I am still wondering whether to also attach labels to the trees that we found growing there naturally. Hagonoy sprouting up .. like weeds! Next Next post: Momo’s New and Improved Farm Haircut!